What could be hotter than Miami Heat front row tickets, a two-night stay at the Kimpton Surfcomber on Miami Beach or tickets to Ariana Grande at the American Airlines Arena? Light up your fundraising for the Race for the Cure and you just might win one of the following prizes! There are thirteen categories to recognize our top fundraisers, but it will take more than luck to win these items. It will take a healthy dose of competitive spirit and determination, but we know you can do it with the end goal being lives saved! Be sure to visit our Fundraising 101 page for tools and helpful hints to drive your campaign through social media. And remember, fundraising for the Race for the Cure runs through February 28, 2019, so keep on going past Race day! Also, anyone who reaches over $1,000 in individual fundraising will receive a Dunkin’ Donuts gift card! 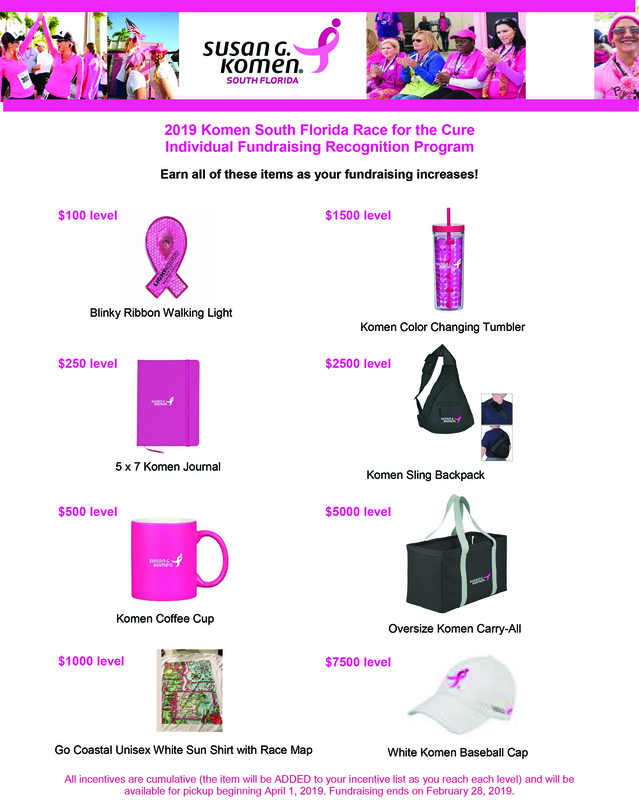 And don’t forget our Komen swag recognition items, too! The more you raise, the greater “thank yous” you will receive. 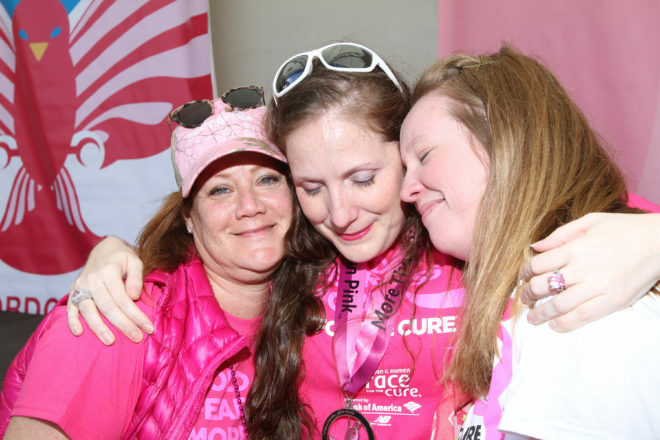 Susan G. Komen South Florida Race for the Cure fundraising officially closes at midnight on February 28, 2019. We will invite top fundraisers to be recognized and accept their awards at the Official Awards Celebration on Tuesday, March 5, 2019 from 5:00 to 8:00 PM at Burger Bar, 4650 Donald Ross Road, Palm Beach Gardens. Prize winners need not be present to receive awards.